PipSpread global research team provides the latest forex market research 1st February 2019 & helps you to stay on top of the breaking financial news & currency market updates. Our preference is for short positions below 1.1475 with targets at 1.1410 & 1.1390 in extension. Alternative scenario is above 1.1475 look for further upside with 1.1495 & 1.1515 as targets. Our preference is for short positions below 1.3120 with targets at 1.3075 & 1.3055 in extension. Alternative scenario is above 1.3120 look for further upside with 1.3160 & 1.3200 as targets. Our preference is for long positions above 0.9920 with targets at 0.9955 & 0.9975 in extension. Alternative scenario is below 0.9920 look for further downside with 0.9900 & 0.9885 as targets. Our preference is for long positions above 108.70 with targets at 109.05 & 109.25 in extension. Alternative scenario is below 108.70 look for further downside with 108.50 & 108.30 as targets. Our preference is for short positions below 1.3380 with targets at 1.3000 & 1.2800 in extension. Alternative scenario is above 1.3380 look for further upside with 1.3555 & 1.3660 as targets. Our preference is for short positions below 0.7275 with targets at 0.7230 & 0.7205 in extension. 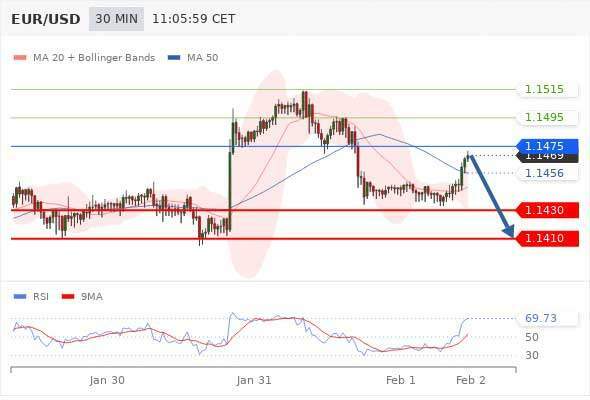 Alternative scenario is above 0.7275 look for further upside with 0.7295 & 0.7325 as targets.